"I am a London physician focused on the care of children with respiratory illnesses and much of my research is centred around asthma in childhood. " 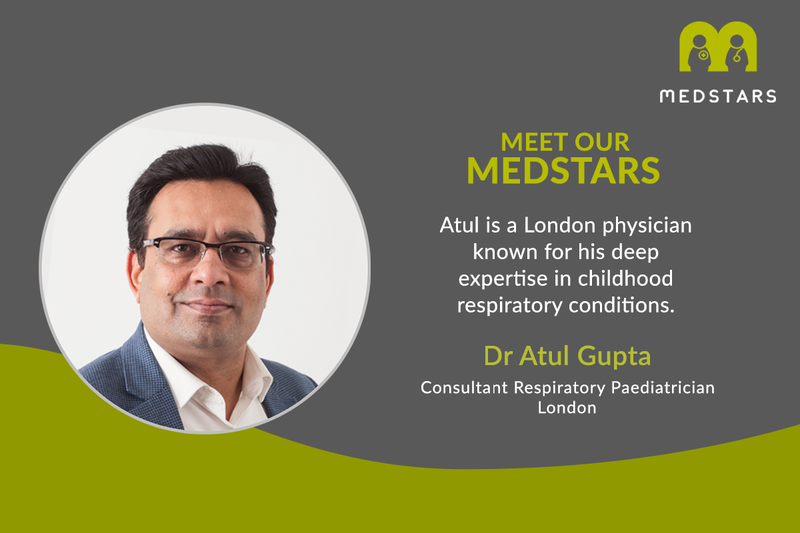 Atul is known for his deep expertise in childhood respiratory conditions. He is the clinical lead for asthma at the Centre for Paediatric Respiratory in King's College Hospital, London, where he also focuses on cystic fibrosis, lung allergies and sleep studies. He has authored papers, lectured internationally and won several awards for his specialist knowledge of paediatric breathing disorders.